Iranians will chant “Death to America” as long as Washington continues its hostile policies, but the slogan is directed at President Donald Trump and U.S. leaders, not the American nation, Iran’s supreme leader said on Friday. “As long as America continues its wickedness, the Iranian nation will not abandon [the slogan] ‘Death to America’,” Ayatollah Ali Khamenei told a gathering of Iranian Air Force officers marking the 40th anniversary of Iran’s Islamic Revolution, according to his official website. Trump pulled out of Iran’s 2015 nuclear deal with world powers last year and reimposed sanctions on Tehran, dealing a blow to the country’s economy. “‘Death to America’ means death to Trump, [National Security Adviser] John Bolton, and [Secretary of State Mike] Pompeo. It means death to American rulers,” Ayatollah Khamenei said. 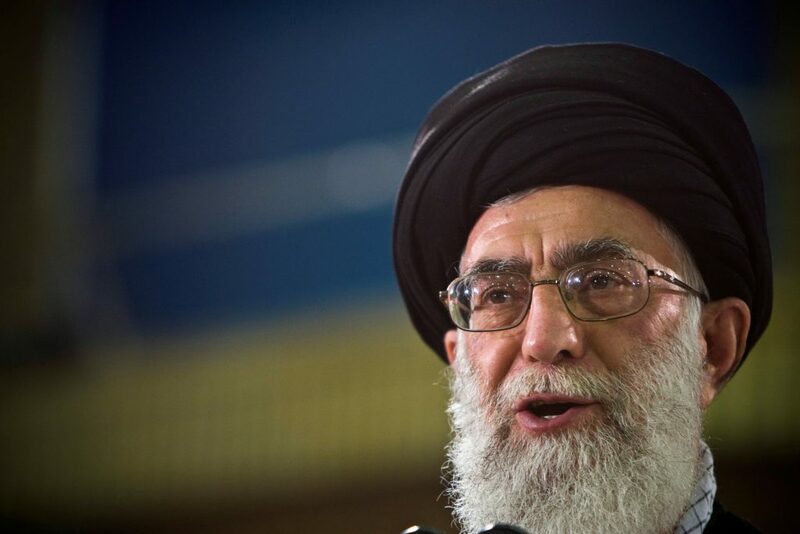 Iran’s Khamenei Urges Muslim Nations to Unite Against U.S.